Why you need to make the trip to Canberra's Floriade event this spring. Some love Paris in the springtime. But this is why I love Canberra. A little while back I was invited to an event that Lola Berry was guest speaking at. For those of you who haven’t heard of Lola, she is an Australian nutritionist, author and television host. 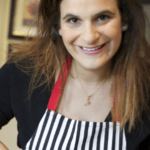 She is best known for her book The 20/20 diet and for her keen connection to the environment and Mother Nature. At the event, as soon as Lola started talking, I was drawn in. She’s warm, intelligent, passionate, and seemed like an all-round great lady. During her talk, she touched on the subject of ‘Biophilia.’ I had never heard of Biophilia before, but within moments I was hooked on the idea. Biophilia is best described as the concept of humans possessing an innate tendency to seek connection with nature and other forms of life. It relates to the subconscious link that we have to other living things and it explains how this is deeply rooted into our biology. "Kick-off into your exploration of the Biophilia concept is by attending Floriade." Image: Supplied. Lola talked about how being in nature; swimming through it, running in it, looking at it and so on, has been shown to lift our spirits and improve both our physical and mental state of being. And I, for one, am totally down with this. Every day before I head into work, I walk for an hour through parks and local bush land. It helps me to start my day feeling fresh. It re-energises me from the morning school rush. The best thing about a walk or a run around the area that you live in, is that it’s free and you can do it at any pace you like. You can stroll, walk quickly, jog, it doesn’t matter. What matters, is what you are surrounding yourself with at the time. This spring, an amazing way to kick-off into your exploration of the Biophilia concept is by attending Floriade. 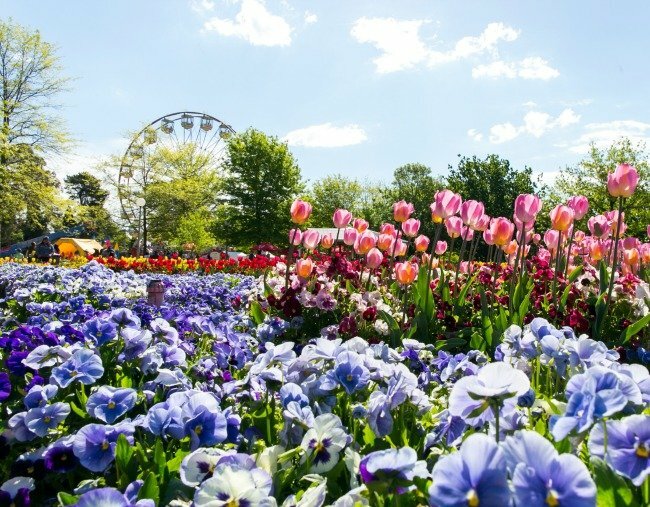 Developed in 1988 as a grand, one-off floral tribute to mark Australia’s Bicentenary and Canberra’s 75th anniversary, Floriade has become Canberra’s most iconic annual tourism event and Australia’s premiere spring festival. And a mighty good excuse for a weekend away with your partner or family too. Floriade runs from mid-September to mid-October and attracts more than 480,000 attendees each year. Managed by Events ACT on behalf of the ACT Government, Floriade runs in partnership with an expert team of landscape gardeners, a band of loyal contractors and volunteers, and the support of local and national sponsors. It&apos;s those local touches that count a lot. Your ULTIMATE connection with nature is not far away! And it’s Free! Image: Supplied. The floral display of more than a million bulbs and annuals planted across 8000 square metres of inner city parkland is much more than just a flower show. Much like Sydney&apos;s Vivid Festival, Floriade is a diverse, ever-expanding program. It&apos;s full of music, cultural celebrations, food and wine, horticultural workshops, market traders, artistic displays, entertainment and recreational activities. And the best news? Entry to the park is free. FREE. This year, the theme for Floriade is &apos;Rejuvenation&apos; and it’s important to note that even if you’ve been here in a previous year, you are bound to get a pleasant surprise at some of the new changes happening at Floriade in 2017. &apos;The Best of Bowie&apos; will kick start this year&apos;s festival on September 15. This incredible twilight concert will feature the Canberra Symphony Orchestra and David Bowie tribute act The Ziggy Band live. Attending this event will allow you exclusive access to Canberra’s iconic flower festival before the gates to Floriade officially open the following morning. NightFest will showcase new musicians, comedians and pop-up performances. Image: Supplied. Aside from the sensational floral display already discussed, you will be able to double the fun at NightFest. By popular demand, Floriade’s after-dark experience, NightFest will run across two phenomenal weekends (Sept 22 to 24, Sept 29 to Oct 1) each weekend showcasing new musicians, comedians and pop-up performances. Comedian Nazeem Hussain will be performing and he will be joined by Tripod, Bob Evans, Kav Temperley of Eskimo Joe fame, Mondecreen, Rebecca De Unamuno and more. Night laughs in nature? I&apos;m in. From 8.30pm to 10.30pm during NightFest, The Tasting Plate has wine and chocolate demonstrations (why, two of my favourite things) and delicious gourmet goodies from the Poachers&apos; Pantry. Perfect for a foodie like me! For daytime visitors (especially those with small kids! ), Floriade has extended its opening hours, so you will be able to visit from 10am to 7pm daily. By attending, you will be able to support two worthy charities; the National Breast Cancer Foundation and GIVIT disaster relief, who are the event’s charity partners for 2017. 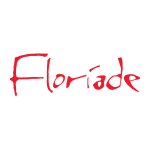 So if you think Biophilia sounds like an interesting concept, or you feel as though you agree with it and have experienced it but never knew what it was called, then Floriade 2017 will be the perfect place for you to get your daily or weekly dose. Floriade starts on September 16 till October 15 with entry to the park free! To get a sneak peak, head along to the Floriade Twilight Concert presented by Singapore Airlines on Friday September 15, tickets are available from Ticketek. See the full program. Have you been to Floriade? Share your Floriade memories with us below.